Sarawak Malaysia, CDT 250, 98009, Miri, Sarawak, MALAYSIA. This Diploma of Business is delivered over two and a half years (seven semesters). Students graduating from the Diploma of Business may choose to enter the workforce directly or continue their studies at degree level with Curtin University with up to one (1) year of advanced standing in the Bachelor of Business degree. Students will develop skills and competencies aligned to the business world. The Diploma of Business is designed by the Australian business community to meet their exacting standards. The Curtin University Diploma of Business is recognized throughout the world as an important indicator of success. Students completing a Diploma of Business will be able to demonstrate excellent skills in business and office administration, preparation of budgets and financial management as well as the effective management of staff. These skills and competencies provide a foundation on which students may choose to establish their own business or become valued employees and contribute to the business community in a positive manner. Curtin University Sarawak (Curtin Sarawak) did Malaysia proud when it won recognition alongside 18 other universities worldwide, with the Gold Standard award from the Society of Petroleum Engineers (SPE). The Gold Standard Student Chapter 2014 Award was conferred recently to Curtin’s SPE Student Chapter. Other award recipients were universities from the Netherlands, Germany, Scotland, United States, Mexico, Brazil, Pakistan, India, Nigeria, Ukraine and Saudi Arabia. The criteria for the conferment of the award is based on programmes and activities organized by the chapter as well as level of participation in a single academic year. Its student chapters are university-based groups of SPE student members. Presently, there are over 300 SPE student chapters worldwide. Curtin Sarawak SPE Student Chapter, established in March 2013, currently has about 200 members. 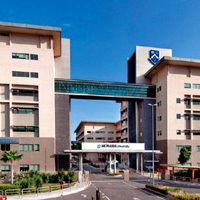 It is one of the four SPE student chapters in Malaysia and the first in East Malaysia. 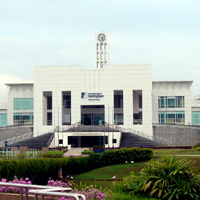 Curtin University of Technology Sarawak Campus, Malaysia (Curtin Sarawak) is the first offshore campus of Curtin University of Technology Western Australia (Curtin Western Australia), Located in Miri, Sarawak, Curtin Sarawak is the first foreign university campus to be set up in East Malaysia. 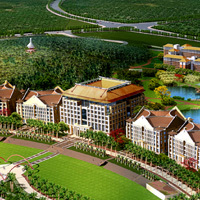 Curtin's reputation for excellence in the South East Asian region provided the basis for Sarawak State Government's initiative to invite Curtin to establish an international university in Sarawak. Curtin Sarawak has been actively involved in Malaysian education for the past two decades and the establishment of Curtin Sarawak's campus ensures that it will continue to increase its contributions towards excellence in Malaysian tertiary education. Curtin Sarawak offers identical degrees to the main campus in Western Australia but at an affordable cost. 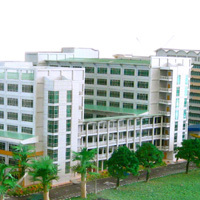 Every aspect of the academic programmes, including course materials and examinations delivered at Curtin Sarawak is similar to those offered to its main campus. Examinations for the degree programmes are set and moderated at Curtin's main campus in Perth to ensure that they meet and fulfill the academic standards. Academics from Curtin University of Technology WA visit the Curtin Sarawak campus on a regular basis for quality audits and consultation on various issues ranging from assignments, projects, tasks and other assessments. At Curtin University of Technology Sarawak, Malaysia, excellent learning and teaching are highly valued as significant aspects of core business at the University. Staff are expected to develop expertise and innovation in their teaching and research in partnership with students who are self-directed, motivated and active learners. 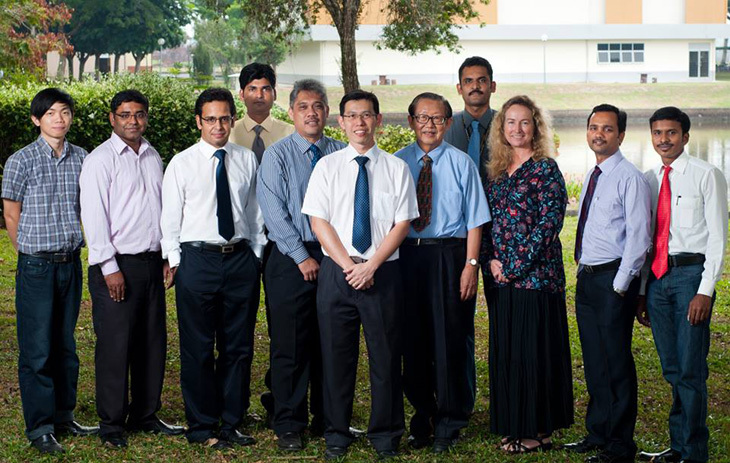 At Curtin Sarawak, academic staff are committed to ensuring graduates become thinkers, problem solvers, and life long learners. As a university of technology, graduates are also taught to use appropriate applications of technology in creative ways. The range of engineering and business accredited programs that the University provides enable graduates to become members of various professional associations affiliated across the world. All academics are supported by the Director of Teaching and Learning who is responsible for guiding and ensuring that the academics are prepared and fully equipped with the appropriate skills and knowledge. A prayer room for Muslim students and staff is located adjacent to the cafeteria and main lecture theatre. A wide range of books, textbooks, stationery, lab coats, Curtin T-shirts and University merchandise are available in the bookshop. Students can lounge and dine in a large cafeteria with a variety of food ranging from Asian to International Cuisine. All food outlets are halal for the convenience of all Muslim students. Eating out in Miri is relatively cheap and there are plenty of choices, including excellent seafood and major fast-food chains. The convenience shop is just a few doors away from the bookshop for students' convenience in purchasing their daily needs such as food, toiletries or stationery. Photocopy, binding and laminating services are also provided in the shop. Off and on-campus accommodation is available for all local and foreign students. Students have a choice of living on campus in the student hostel located right next to the main buildings or to stay in Curtin Village or Curtin Villa which is located 5 minutes away from the main campus, Shops and restaurant outlets are located right next to Curtin Village and Curtin Villa. The Curtin Sarawak Library and Information Service (LIS) supports staff and students in teaching, learning and research by expanding and maintaining the breadth and depth of the collection and other information resources. LIS provides assistance and instruction in using these resources by conducting training in the areas of finding and gathering relevant information, evaluating information sources and managing information. LIS also facilitates inter-library loans with other academic, public and special libraries throughout Malaysia for Curtin's students and staff, Students also have access to the Library at Curtins Bentley campus in Perth through its networked facilities. In particular, they have access to a wide range of academic publications through electronic databases of abstracts and full-text articles. Curtin Sarawak Campus places great emphasis on utilization of modern technology to support teaching, learning and research. Significant investments in computing and networking facilities has been made to ensure facilities are modern and state-of-the-art. The Campus has been awarded Multimedia Super Corridor Status by the Malaysian Government Multimedia Development Corporation and is the first international university in Malaysia to achieve this status, recognizing the quality of its academic programs, teaching staff and IT infrastructure. The campus currently has twelve computer laboratories with 274 PCs for students' use, in addition to the terminals located in the library that provide access to the library's online databases. Each laboratory is equipped with laser jet printers and an IT helpdesk is available to provide assistance with computer and networking facilities. All students have access to the Internet and email either from the computer labs or wireless Internet anywhere in the campus. Apart from the above facilities, Curtin Sarawak also encourages students' development through the "Curtin Student Exchange Programmes" such as Curtin International Student Exchange Programme. 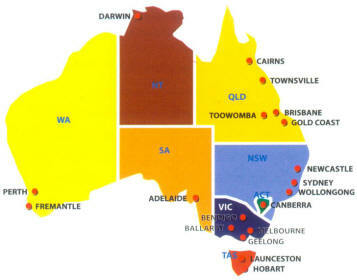 In addition, students from the Sarawak Campus may also apply for transfer to the main campus in Perth. The University Counseling Service is a free and confidential service available to all staff and students, The counseling staff possess the relevant background and training in psychology, counseling and social work. This service provides support for study and learning strategies, career and course changes, cross-cultural issues, personal counseling and all issues pertaining to the well being of staff and students. The University Counseling Service also provides individual or career counselling services. There are sports and social clubs that cater for the recreational needs of students. 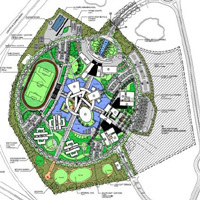 The sporting and recreational complex on campus includes a soccer field, basketball, badminton and volleyball courts, indoor soccer, jogging track and gymnasium. Students are encouraged to make the most of campus life by participating in games and other social activities that are organized either by the University or other student organizations. There is a huge variety of student clubs that students can join such as Curtin Music Club. Curtin Volunteers!, Curtin Leo Club, Curtin Dance Club, Curtin Swimming Club, Curtin Gamers Club, Curtin Rotaract Club and many others, Students may also approach the Student Council to start up new clubs, games or any other social activities. Academic staff members from school have continuously engaged in a number of community related activities. In particular, they have successfully conducted several study skills sessions in secondary schools for students and staff members. Staff from the school of pre- university studies facilitate enthusiastically at the Curtin Student Camp held annually. The school is proud to record several teaching excellence awards won for 2006. • Won The Excellence & Innovation in Teaching Awards (EIT) - Citations for Outstanding contributions to Student Learning, Curtin University of Technology, Bentiey Campus, Western Australia. • Received Higher Education Research & Development Society of Australasia Inc. HERDSA Fellowship - awarded on the basis of a peer assessed portfolio demonstrating achievement of the HERDSA standards of quality teaching and learning. • Won the 2006 Carrick Australian Award for University Teaching - Citations for Outstanding Contributions to Student Learning, awarded by the Ministry of Education, Science and Training, Australia. Won Curtin Sarawak Student's Choice Award for Semester 1, 2006. • Won the Curtin Sarawak Student's Choice Award for Semester 2, 2006. Students in various programmes in the School performed exceedingly well and this is reflected in the high passing rates and number of students who are in the Dean's lists for the various units. In addition, the transfer rate into the degree programmes is commendable with almost 90% continuing their studies in Undergraduate programmes in the University. The School of Business is increasingly being recognized as the leading provider of business education in the region. Its forte is in the field of accounting and finance while it is clearly gaining strength in other areas of management education. The key factor attracting students worldwide to the School is the internationally recognized qualifications, which are accredited by numerous international as well as national professional associations and governmental agencies. Also the quality of the teaching and learning environment, the reputation of its academics and the application of up-to- date teaching and learning methodologies and technologies allow students to gain an exceptional learning experience. • Mass Communication students won AFP 2006 Jury Special Award for Best Cinematography (Anugerah Khas Juri-Sinematographi Terbaik) - "Nenek Inyak"
All the Undergraduate Engineering degree programs are recognized and accredited by the Engineering Accreditation Council (EAC) Malaysia and Engineers Australia (EAust). Both the Bachelor of Technology and Computer Science programs are accredited by the EAust and Australian Computer Society (ACS) respectively The School prides itself as recipient of three full accreditations for its Chemical Engineering program namely from EAust, EAC and IChemE, UK. The high reputation of Curtin rests on the high quality and applied nature of its programs so that its graduates are immediately employable. 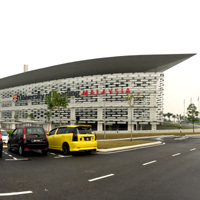 The School of Engineering receives full accreditation by the Board of Engineering Malaysia for all Engineering courses except for the Electrical Engineering course. • In Dec 2006 the school won another prestigious research grant worth RM194Kfrom MOSTI's e-Science Fund. We are expecting five more proposed research projects to be submitted to MOSTI for funding consideration at the beginning 2007. • The school also recently secured a total funding of RM400K for two of Shell's research projects. • 100% Mechanical Engineering students and 93% Chemical students graduated with Honors and Distinction in 2005. • Four students from the Chemical Engineering School were recently awarded an International award for the Best Design Project, The Macnab Medal for excellence in design has been awarded by The Institution of Chemical Engineers (IChemE), UK. IChemE is a professional body for chemical and process engineers originally founded in 1922. • EIT Award 2007. Awards for Teaching Excellence was awarded to Dr Djwantoro Hardjito, Lecturer of School of Engineering. 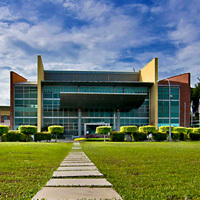 Located in Miri, Sarawak, Curtin Sarawak is the first offshore campus of Curtin University of Technology, Western Australia. Around the world, doors open for the Curtin graduate. 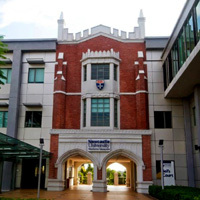 As the leading university of science and technology in Australia, Curtin Sarawak is thriving to build its reputation for its excellence and innovative teaching in Malaysia and within its region. Study in an international and cross-cultural environment with an affordable cost and learn from the best faculties that have helped students win award winning projects from national to international competitions. 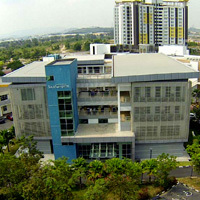 The Curtin Sarawak Campus is the branch campus of Curtin University of Technology that started operation in Miri in 1999. 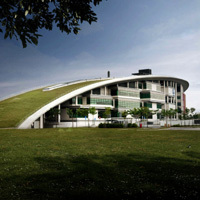 In 2002, the newly-established Lutong Campus opened and is a world-class facility where stylish, architecturally-designed buildings complement state-of-the-art equipment and facilities, and sophisticated IT linkages provide students access to the resources of Curtin, Western Australia. 1 - Prepare students to assimilate effectively into the university environment. 2 - Developing academic diligence, critical analysis and a large amount of generic skills in students. 3 - Provide a solid foundation for the students to adapt to university education more confidently, both in terms of level and style of education.